Institution-led Review (ILR) is one of the five pillars of the university sector's Quality Enhancement Framework. The idea of ILR is that, besides ELIR, universities should be responsible for managing their own periodic internal reviews - such as for subject areas, support servces or cross-institutional themes. ILR must take place in every subject area in a six year timeframe, and the review team must include one student member, usually from a different subject area to the one being reviewed. Although the QAA supports the process, the Scottish Funding Council (SFC) sets out the guidance; the guidance includes the broad principles to which all institutions should adhere to in determining the overall quality of the student experience. Published in August 2017, guidance on ILRs is detailed in the Scottish Funding Council guidance to higher education institutions on quality. sparqs can provide advice, training and consultancy on two key areas of ILR: firstly, support for student members of review teams, and secondly, support for students and staff in ensuring student voices are heard as part of the review process. In May 2016 we published a practice guide for universities and students' associations on Engaging students in Institution-led Review, developed in conjunction with Robert Gordon University’s Gray’s School of Art and IT Services Department. A two-page executive summary is also available. Below are materials you can download for supporting student members of review teams. We aim to work with universities to take ownership of these materials, adapt them to their own structures, and deliver them on an ongoing basis themselves. Our training materials are currently under review and will be published in due course. 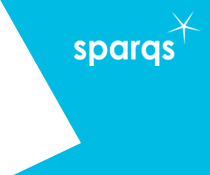 In May 2016 sparqs published a resource to help departments and sections who are preparing for internal review to engage students in their work. Before the review - how can students, including course and departmental representatives, contribute to the work of gathering evidence on the learning experience and writing the reflective analysis? During the review - how can students meeting the review panel or contributing in other ways to the review do so in an informed way with a good understanding of the review's purpose? After the review - what role can students, especially representatives on departmental management committees, play in responding to the action points that arise from the review? This work was particularly informed through close work with The Robert Gordon University, where we observed, learned from and contributed to two internal reviews - the 2014-15 student-facing review of IT services across the university, and the January 2016 Institution-led Subject Review of the Gray's School of Art. The resource, Engaging Students in Institution-led Review - a Practice Guide for Universities and Students' Associations - was launched at RGU's Learning & Teaching Conference on 3rd May 2016. A short 2-page Executive Summary version is also available. The involvement of Gray's School of Art in contributing to this guidance has since been highlighted and commended in various conferences. What mechanisms institutions deploy to directly engage students in processes of Institution-led Review? What support, training and/or guidance do institutions provide for students involved in Institution-led Review? For more information on this area of work, please contact Stef Black.